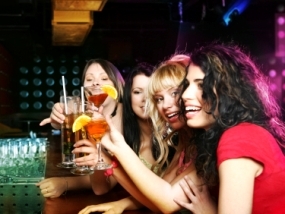 Here at the underground bar we aim to give you a complete online bartending experience. If you want to raise hone your skills, learn new tricks or bring your game to the next level this is the place to do it. Sure bartending looks like an easy gig, but there is so much more to being a bartender than pouring a gin and tonic for some guy and chatting up the pretty girls at the bar. Bartending is a skill and one that is constantly raising the bar as the competition in the industry is getting stiffer and stiffer. The underground is here to help you gain the knowledge you will need to bring your game up too. Here you will be able to learn everything ou need to know to get into the industry, raise your game or stay on the cutting edge of the bartending world. We want to grow the underground bar to not only give you the online bartending knowledge base ou will need to inprove your bartending skills, but we want to give you a bartending community forum to exchange information, skills and tricks of the trade. Please feel free to contact us and send us your drink recipes, cool bar tricks or questions you have about the industry.